People with owner or team maintainer roles can manage repository access with teams. Each team can have different repository access permissions. For more information on changing a person or team's access to an organization repository, see "Managing an individual's access to an organization repository" and "Managing team access to an organization repository." In addition, organization members with owner permissions have extensive permissions across all repositories in an organization. For more information, see "Permission levels for an organization". Warning: When someone adds a deploy key to a repository, any user who has the private key can read from or write to the repository (depending on the key settings), even if they're later removed from the organization. Organization owners can add any repository to any team in the organization. Organization members with admin access to a repository can add that repository to any other team they belong to. For more information, see "Giving team maintainer permissions to an organization member." By default, only organization members with admin privileges to a repository can delete the repository or transfer it out of the organization. If you choose, you can restrict repository deletion and outgoing transfer permissions to organization owners only. 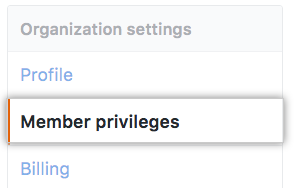 In the left sidebar, click Member privileges. Under "Repository deletion", deselect Allow members to delete or transfer repositories for this organization. 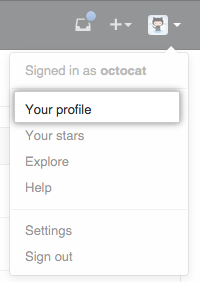 "Changing a person's role to owner"
"Permission levels for a user account repository"